Why Outsource Legal Process Outsourcing (LPO) Services? Does your legal firm want to cut down on operating costs? Why not consider outsourcing your LPO services to India. Most legal firms choose India as their legal process outsourcing partner as Indian vendors have both expertise and experience in legal process outsourcing. Our team of efficient legal support professionals can help your law firm deal with intellectual property rights, legal research or legal documentation amongst others. With us as your outsourcing partner, you can reduce the cost of your legal procedures while getting access to impeccable services. Why choose Outsource2india for LPO services? We can handle all your legal support services, giving you the freedom to invest your time and money into developing your core business functions. Choose us as your legal support services partner and complete your legal projects ahead of your deadline. Contact us to outsource legal support services. News and figures that attest to the inexorable growth of outsourcing. 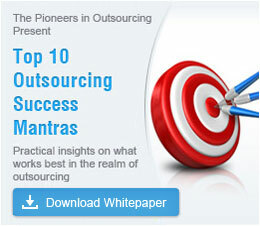 Why outsource, what to outsource - some important considerations to think of.